I have two pugs and I love them like crazy! My furry friends are the first to greet me at the front door after a wedding day and keep me company during long days in the office, entertaining me with their snorts and grunts from beneath my desk. 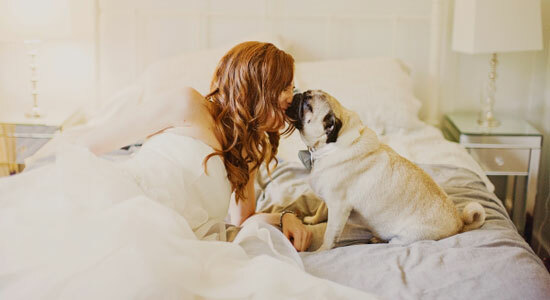 Dogs are part of the family, present at every holiday, birthday, and special occasion, so it would only make sense for fun loving Brides and Grooms to include their fuzzy friends in their wedding. 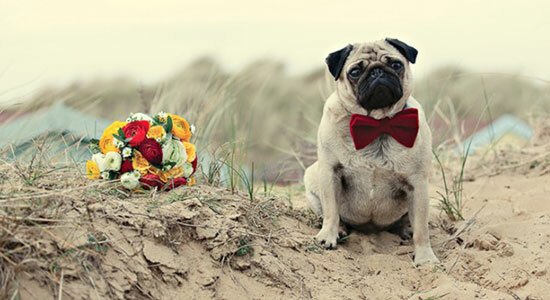 There are lots of ways to involve man’s best friend in your celebration, whether in a formal role or simply as honoured guests. 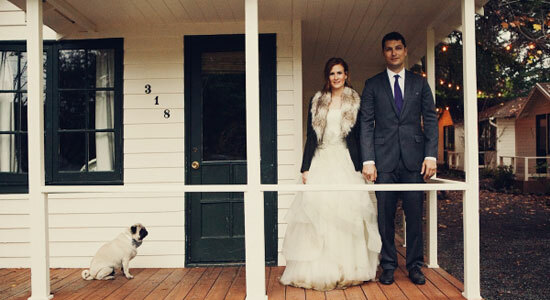 A more traditional way to include your pet is as ring bearer or flower dog. This works well if your pet is very well behaved and easy to train. 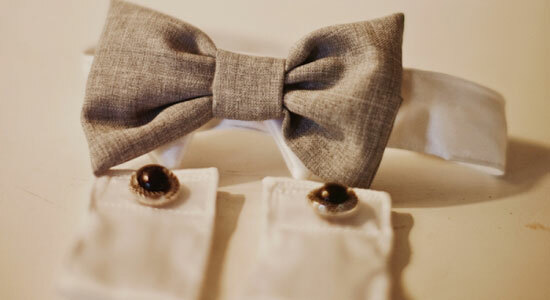 Tip: use faux rings on the ring bearer’s pillow in case they fall off; remember to practice, practice, practice! 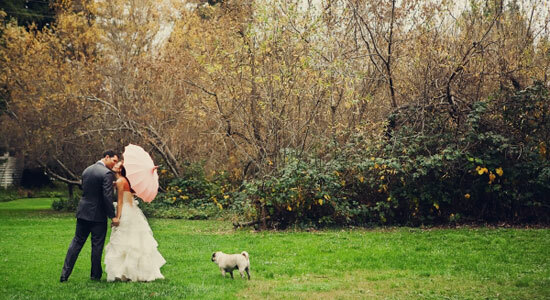 Have someone walk your pet down the aisle and hold onto them during the ceremony. This is a good choice for pets that are not easily trained, or get skittish around large groups of people. 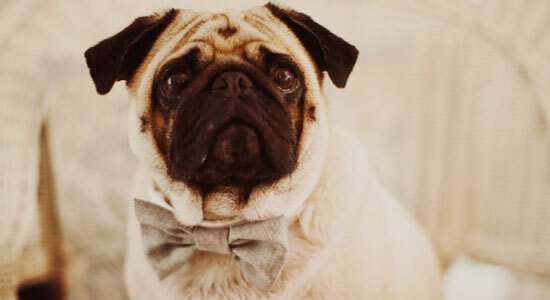 Tip: be sure to have a plan b – if your pet gets sick or doesn’t cooperate you may have to leave puppy at home; use a decorative leash that matches your wedding decor for a special touch. 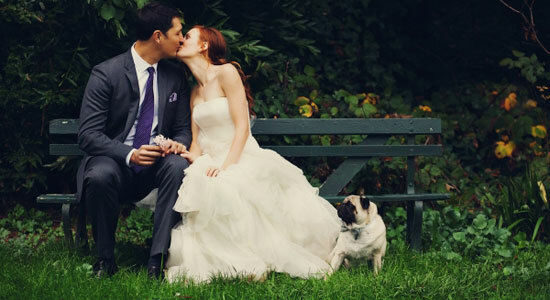 If your pet can’t be at the ceremony, have the officiant mention your pets or write them into your vows. This inclusion adds a personal touch that lets everyone know how important your dog is in your lives. Tip: while talking about everything you two will do with one another, include your special pet and the duties you will share with one another when caring for them. 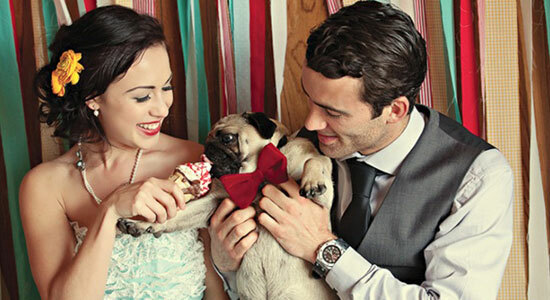 Have your pet in the wedding party or family photos on the big day. You can also include them in your official wedding photos taken prior to the ceremony wearing a colour coordinated bow-tie or ribbon. Tip: if your pet isn’t allowed at the reception, try putting nicely framed pictures of them dressed up on each of the tables. 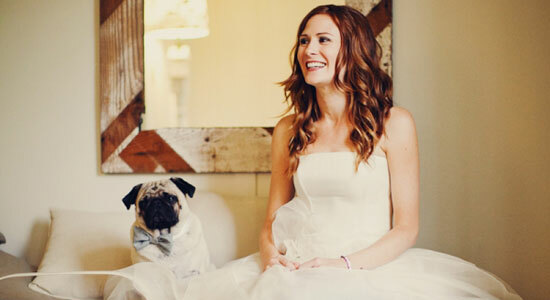 When thinking of ways to include your furry friend into your wedding feel free to get creative! 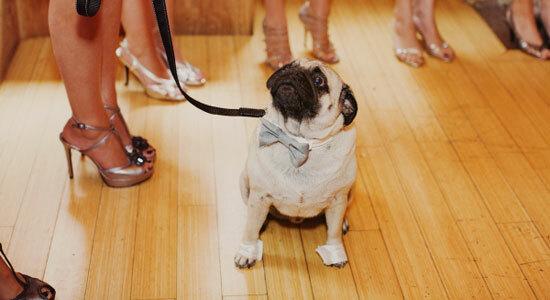 Some indoor reception facilities won’t allow pets, however, an outdoor reception can be very pet friendly. 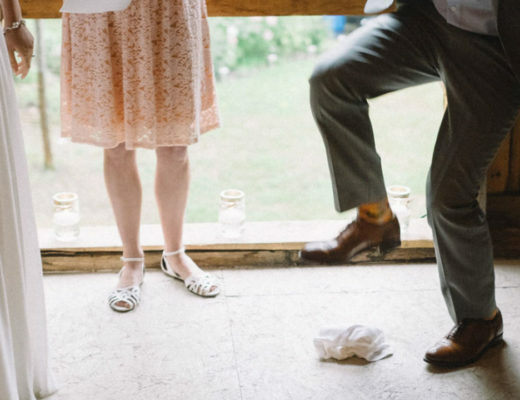 The most important things to remember: to be flexible, practice, make sure your venue will allow pets, and ensure all your guests are comfortable being around your four legged best friend. 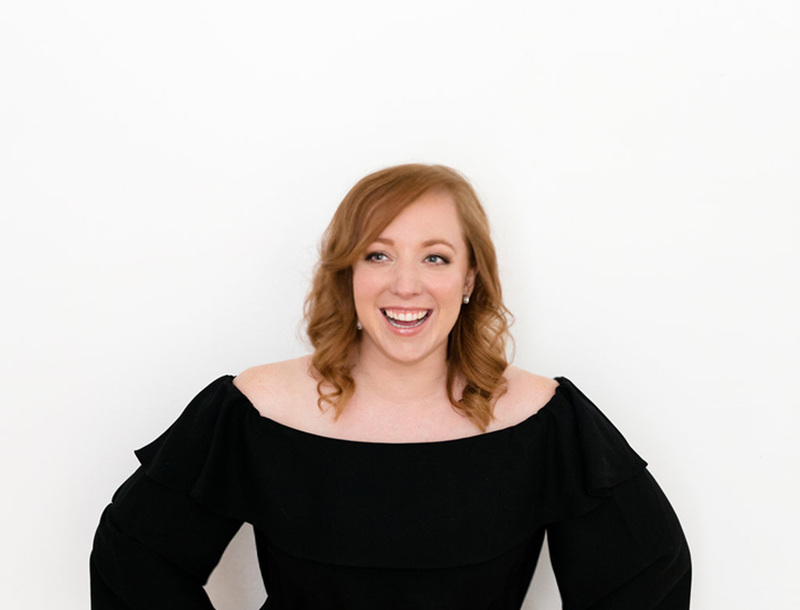 *Photos courtesy of Tinywater Photography, “Abby & Josh” in Guerneville, CA and Dottie Photography, “Vintage Seaside Style Shoot” in London, UK. Awesome advice! I love all the ideas. And the imges are beautiful.